Get up to $20 off on selected T-shirts. No code needed. Save up to $10 Off on selected kids T-shirts. No code needed. Get 10% Off with Exclusive Coupon Code A10. Hurry Up! Offer Ends Soon! 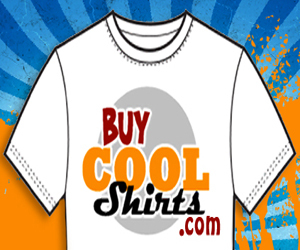 An infinite treasure trove of apparel awaits Men, Ladies, Juniors, Kids, Toddlers and Infants alike here at Buycoolshirts! Found a coupon for Buycoolshirts?